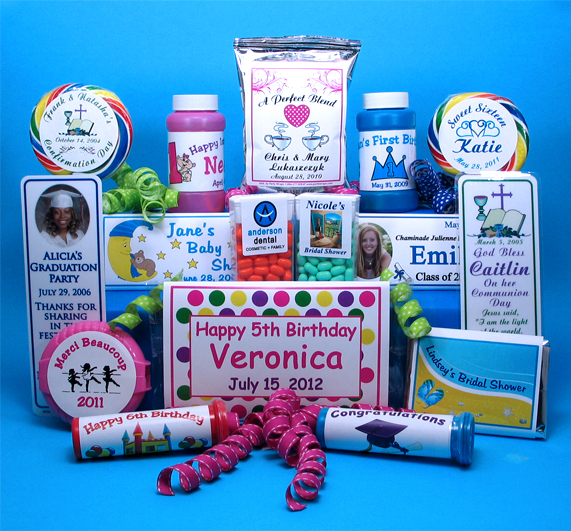 Need a Custom Party Favor ? 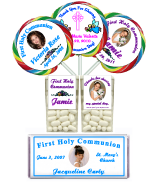 Personalized Candy Bar Wrappers and Custom Party Favors for any Occasion. personalized with any photo or theme. or gift just for you, at no extra charge. product favors in the shop by product section on this page. Need a business promotional item? We can customize any of our products to use as a promotional product for a trade show giveaway, business event handout, new product launches, corporate business gift, thank you favors for your loyal customers, or for a employee appreciation gift. Our customized tic tacs with your company logo will make great business cards that customers can carry with them! Our prices are reasonable and we will work with you, personally, over the phone and through E-mail to create a custom party favor or gift, down to the last detail. Give us a Call, E-mail or fill out our order form, so we can get started on creating a super gift, business promotion, or custom party favor that you and your guest will love. We will be happy to add a special photograph, coordinate colors, graphics and themes to fit your event. Party Wraps does not charge extra for RUSH ORDERS or CUSTOM DESIGNS.